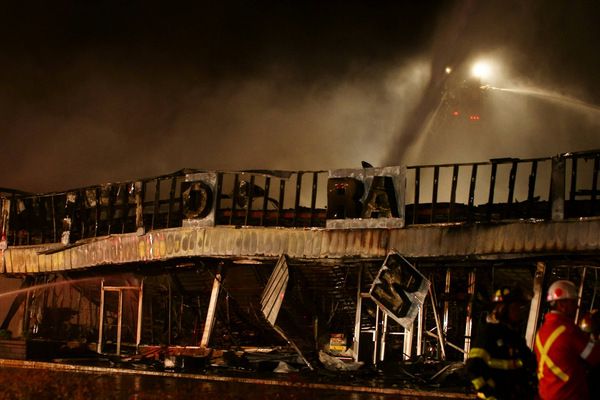 This article is 2567 days old. 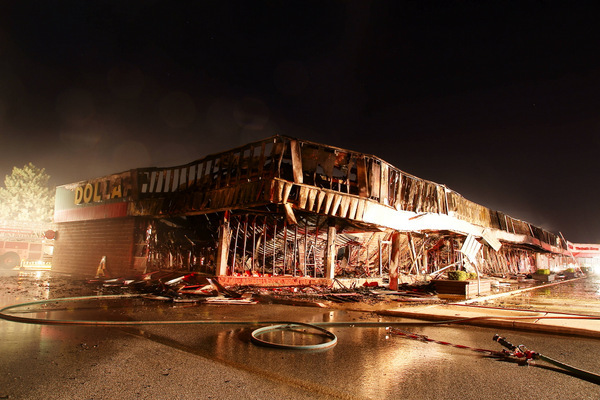 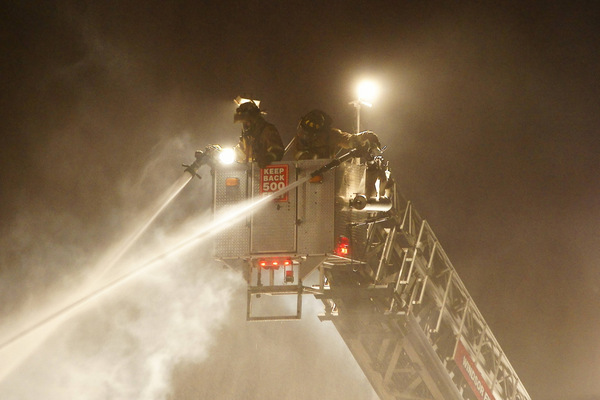 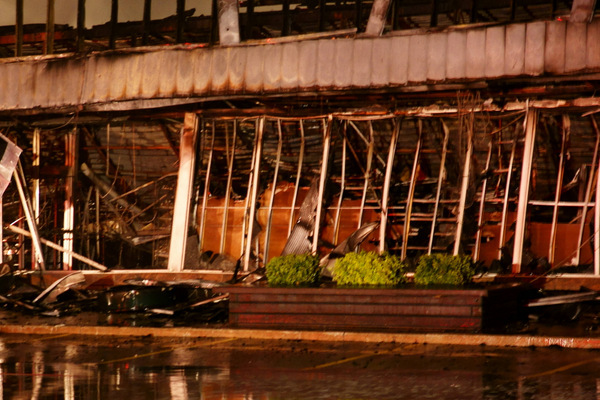 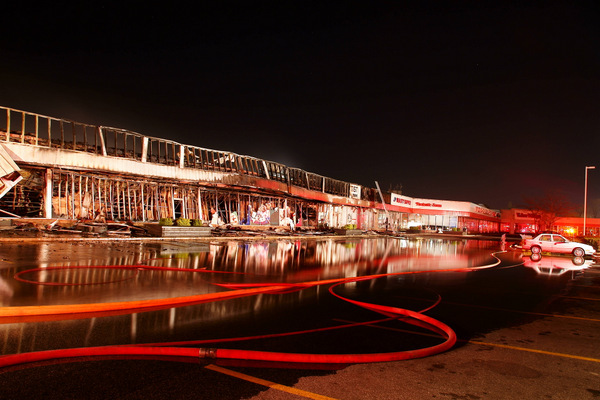 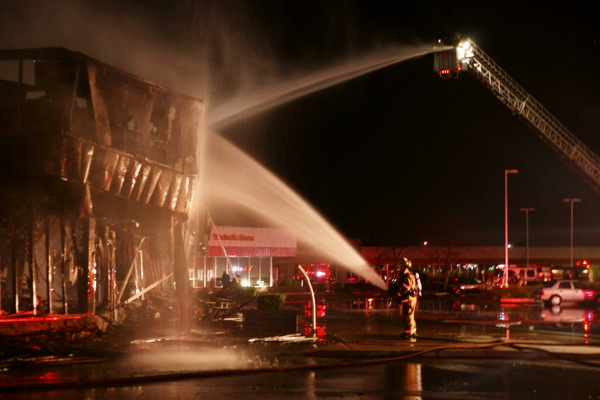 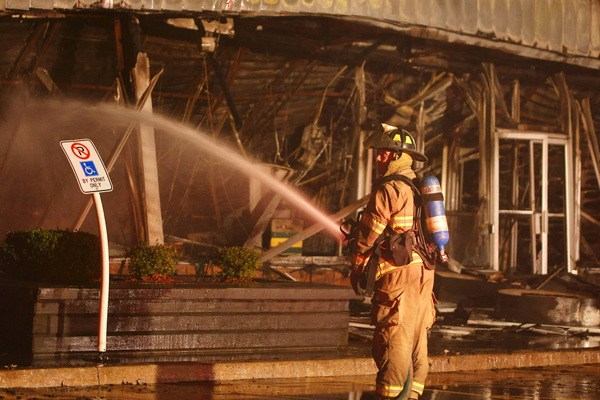 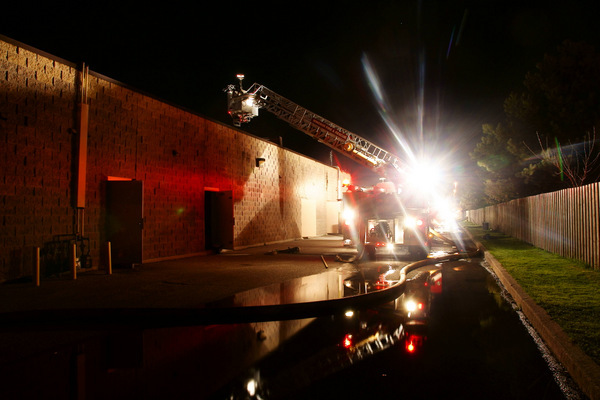 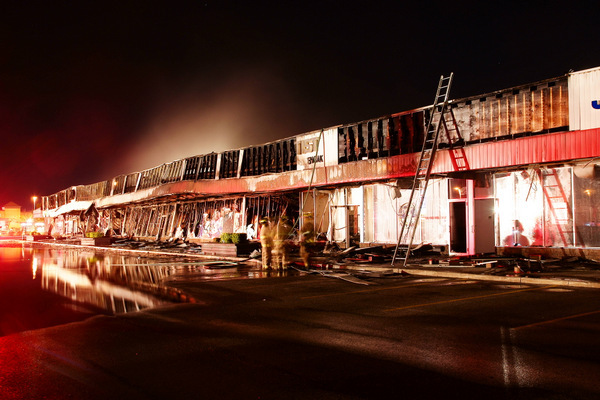 Windsor firefighters are wrapping up from a major commercial plaza fire on Windsor’s east end. 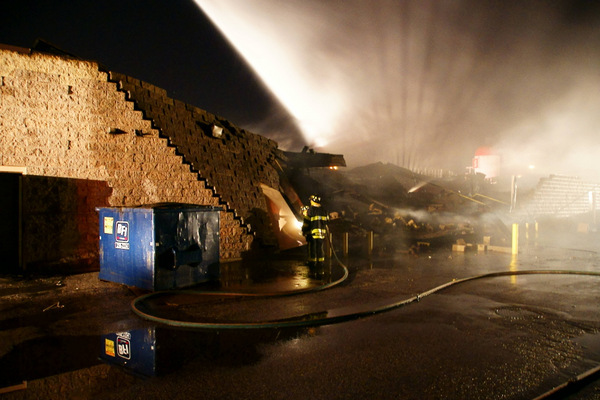 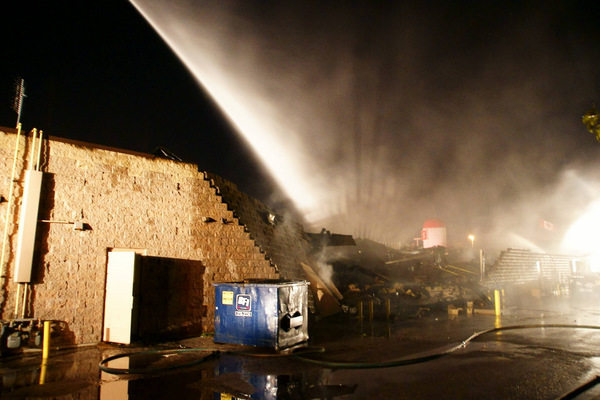 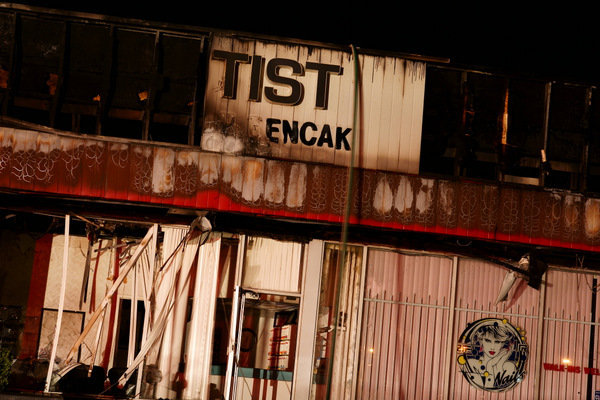 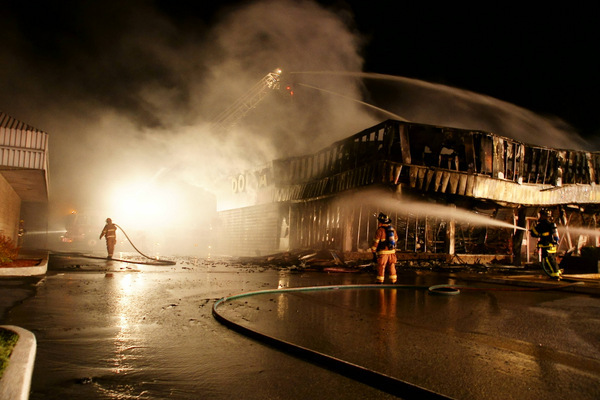 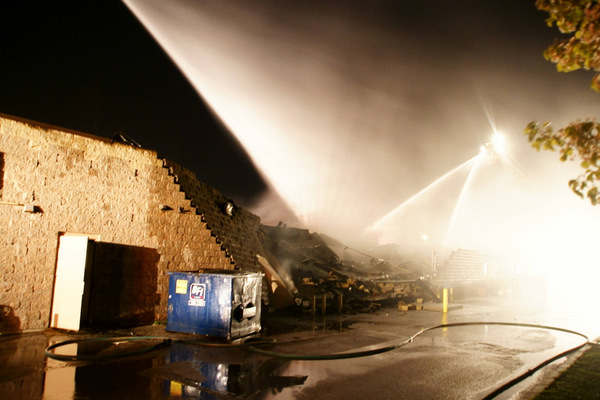 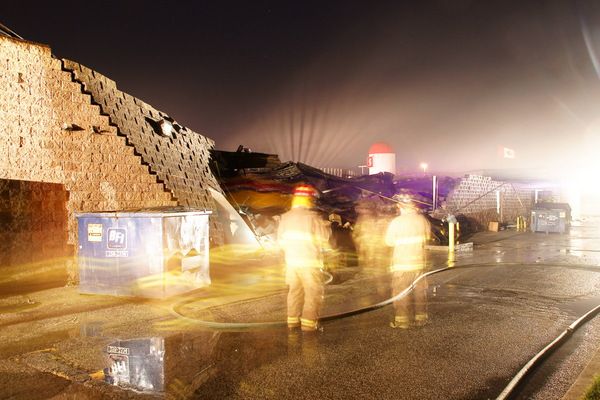 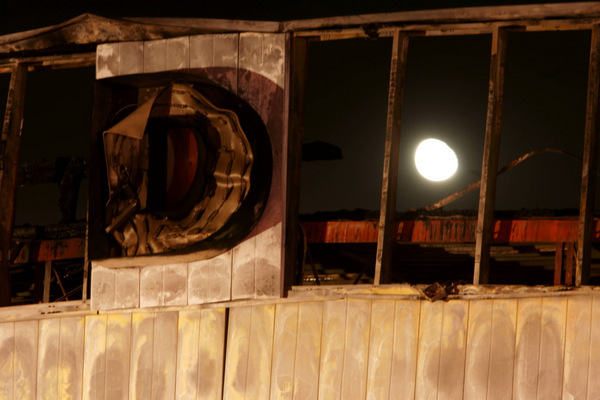 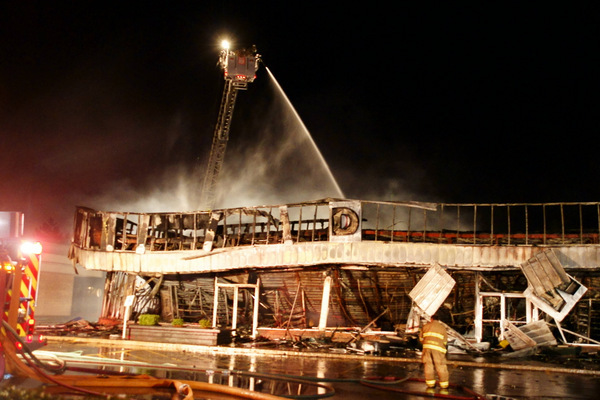 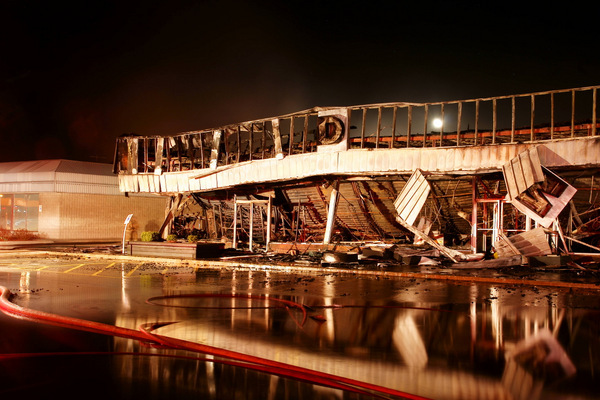 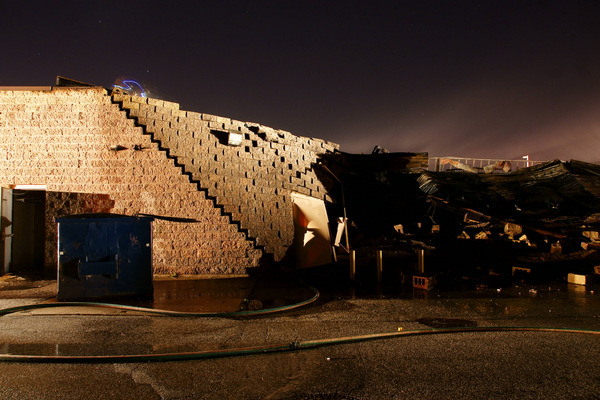 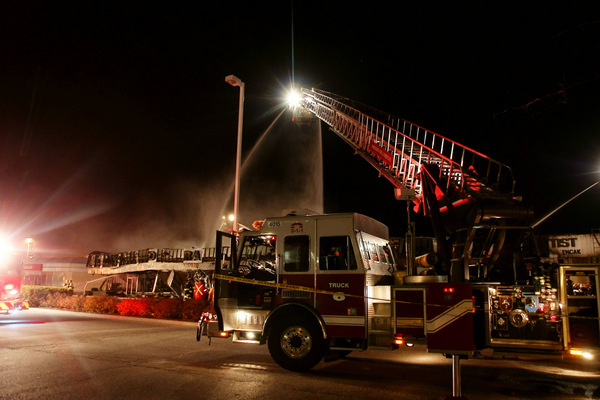 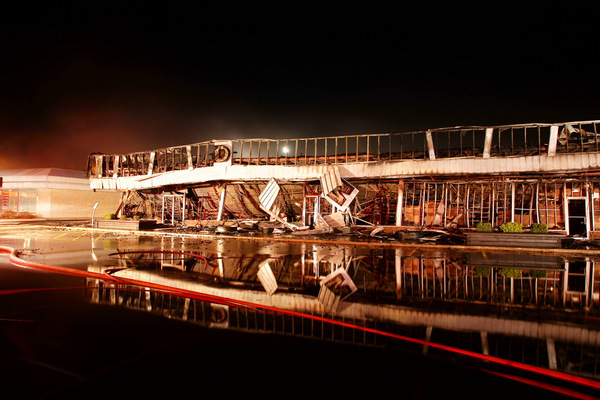 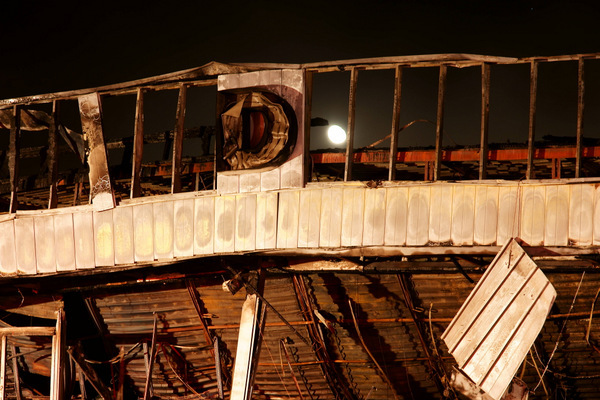 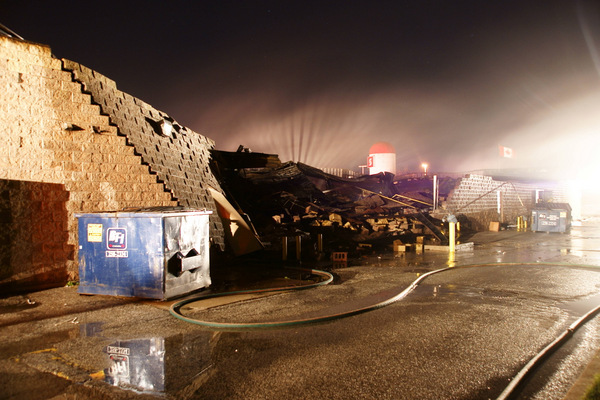 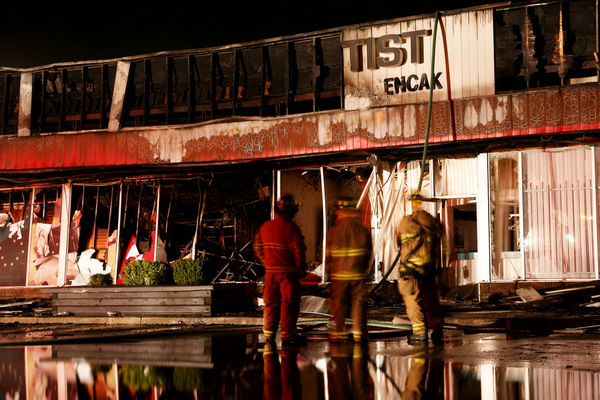 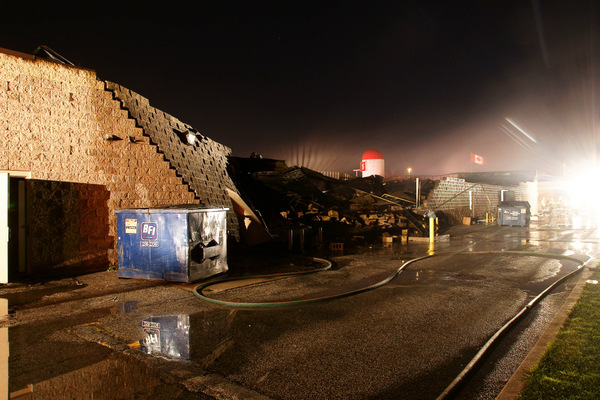 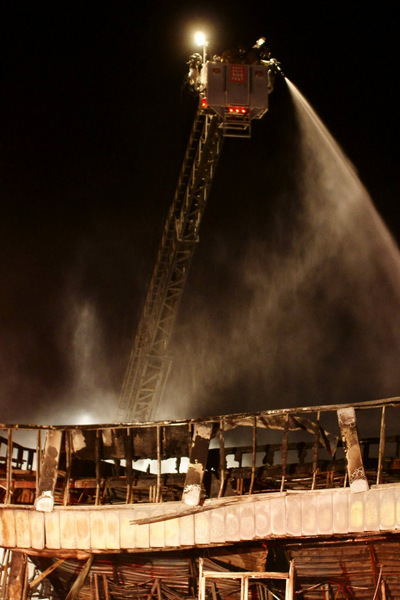 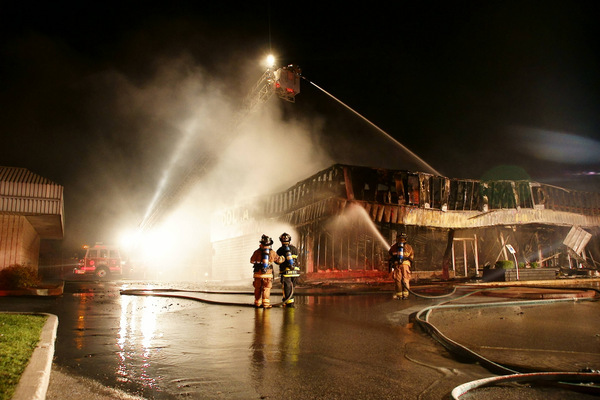 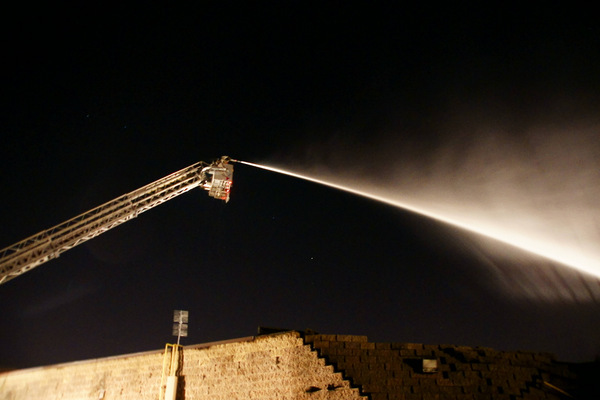 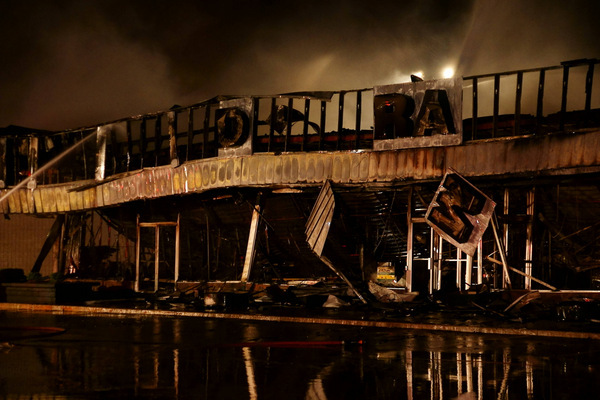 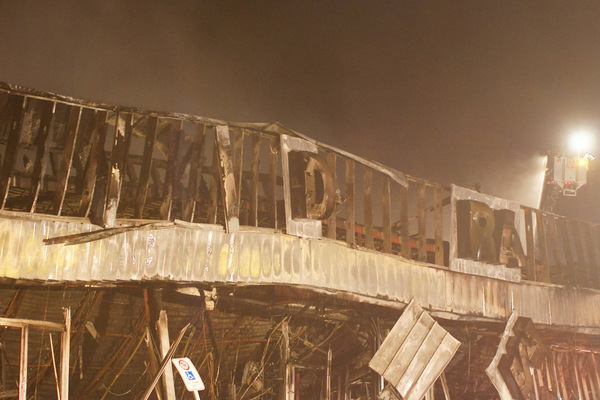 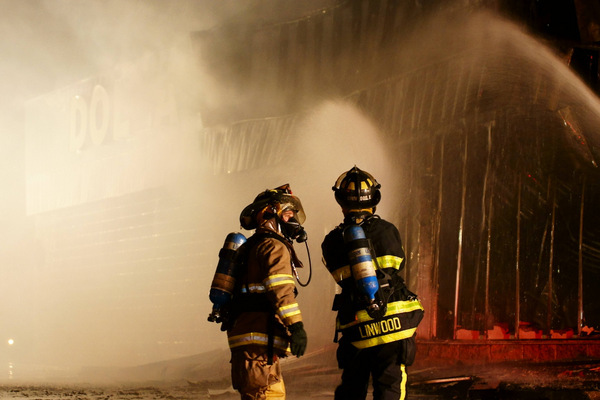 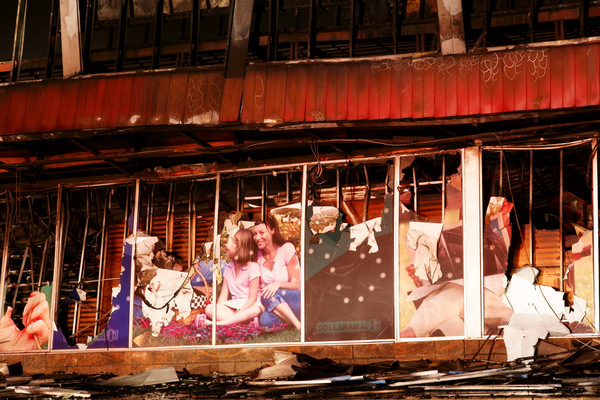 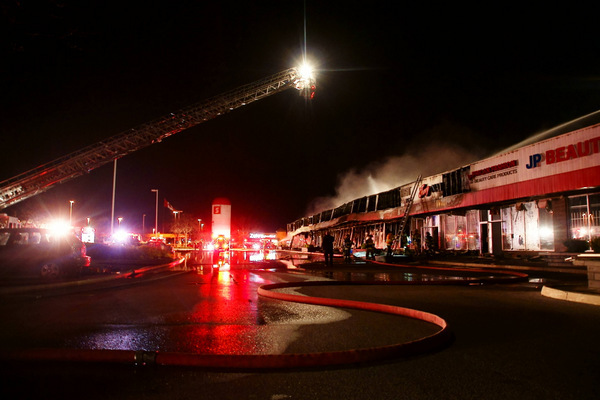 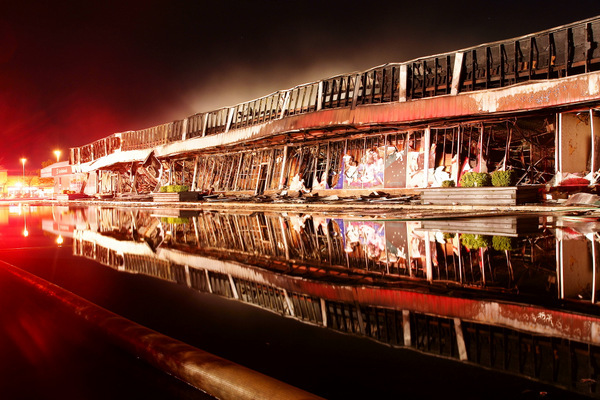 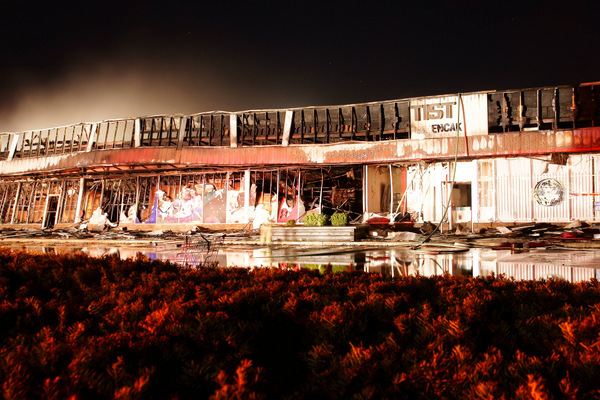 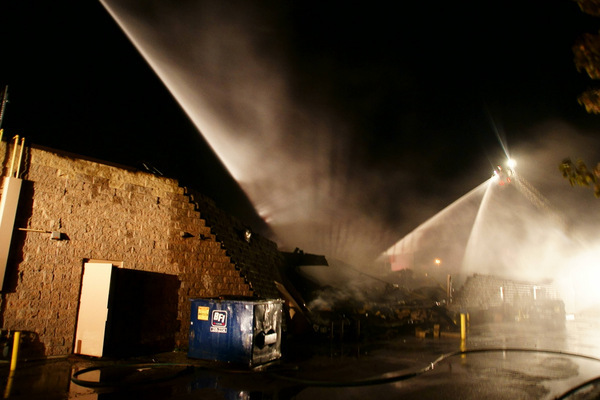 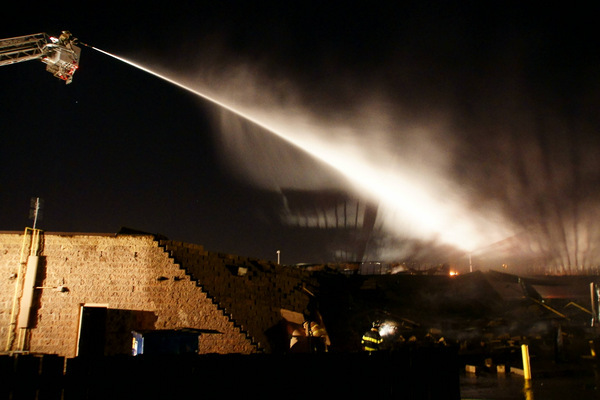 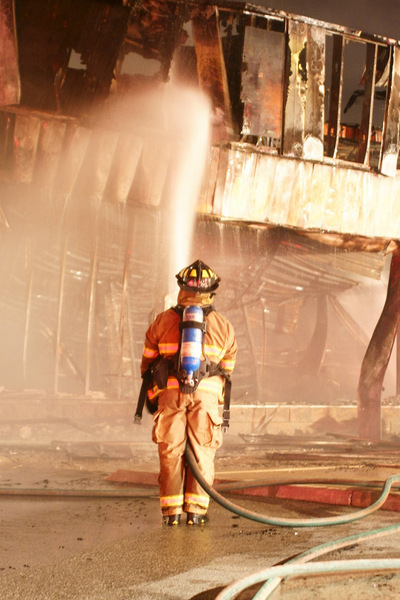 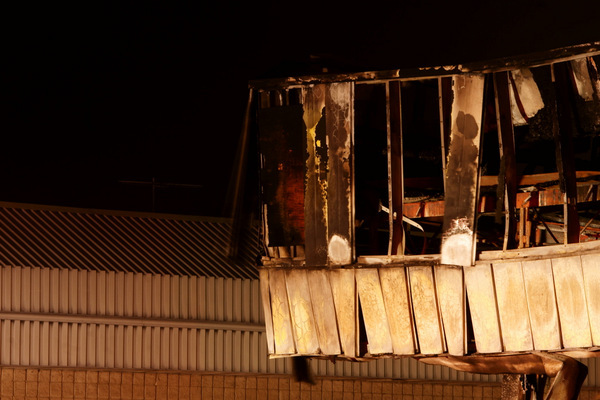 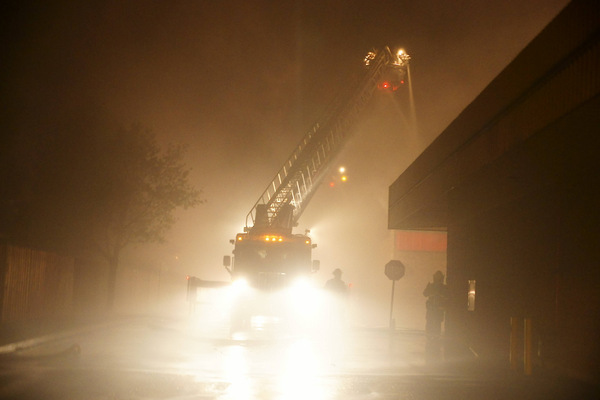 The Easter Monday fire broke out around 8:30pm, shortly before many of the businesses were were set to close for the evening. 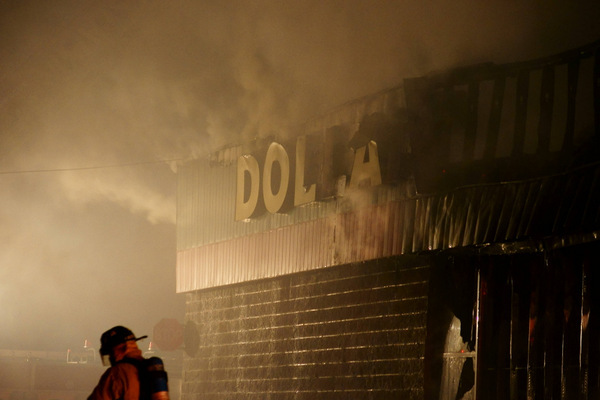 The fire appears to have begun inside the ceiling of the Dollarama, but this cannot be confirmed until the site is secure enough for an inspection to take place. 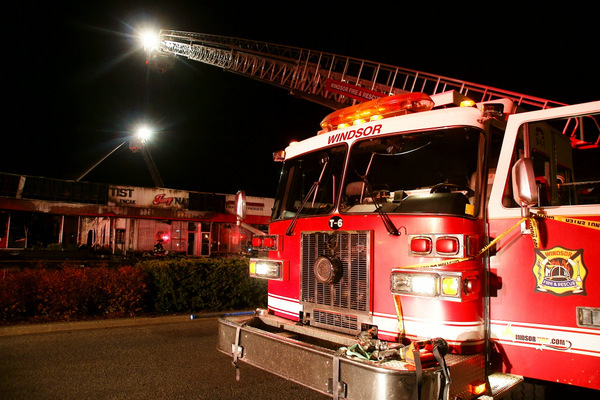 Passerbyers and store employees called the Windsor Fire Department after noticing smoke and flames pouring from the roof of the structure. 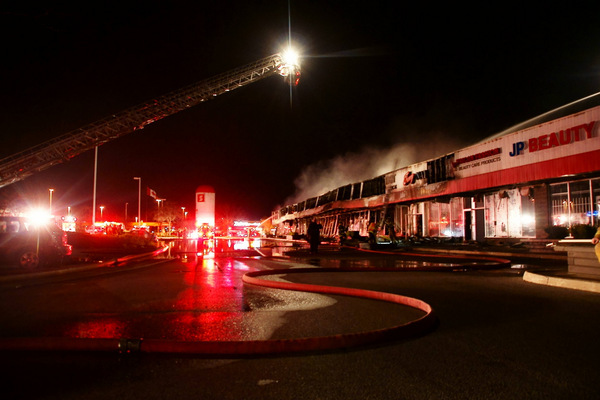 The fire was reported to be contained to the centre of the store when crews first arrived and firefighters began an ‘offensive’ attack by bringing water hoses into the building. 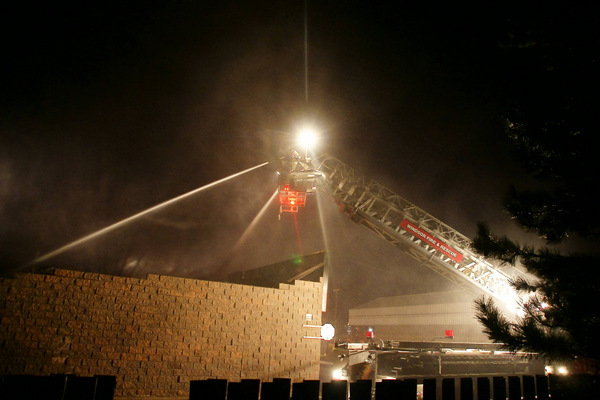 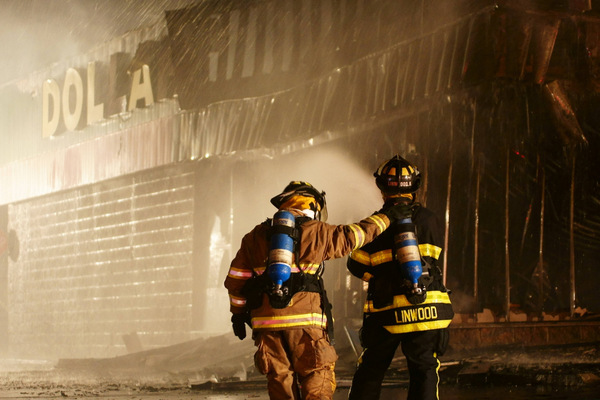 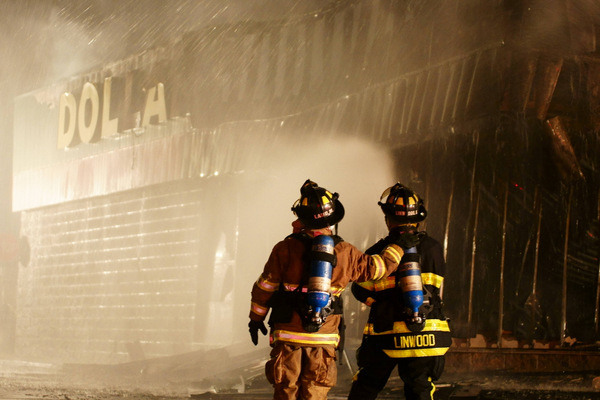 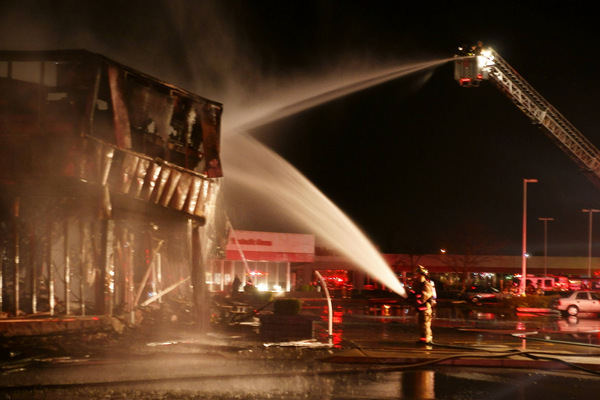 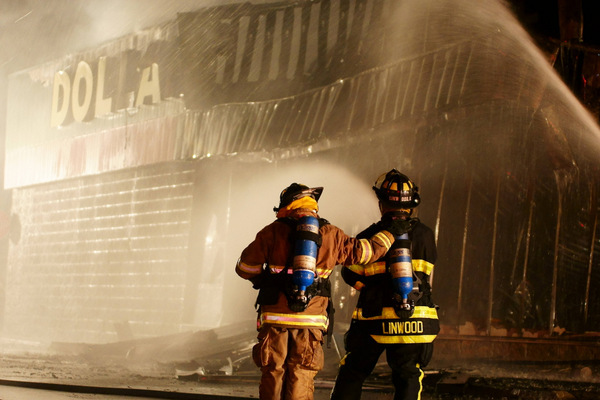 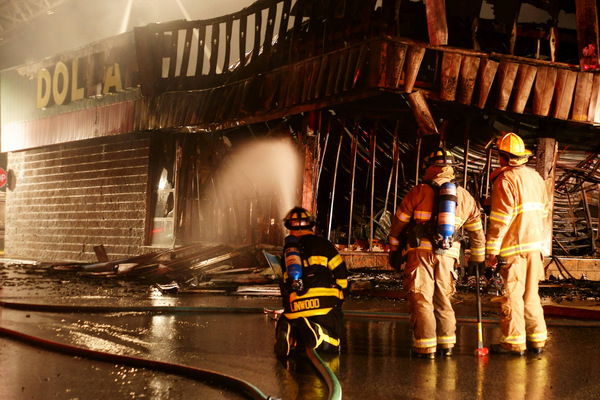 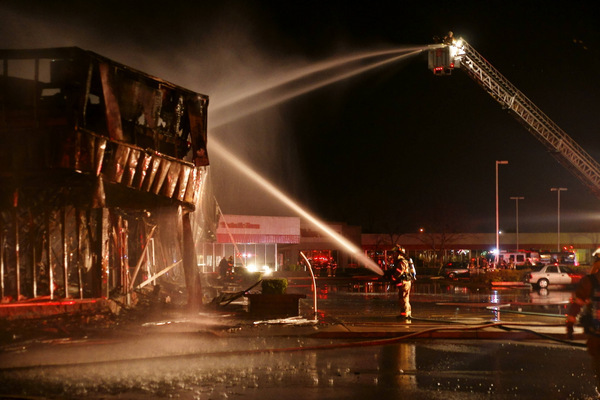 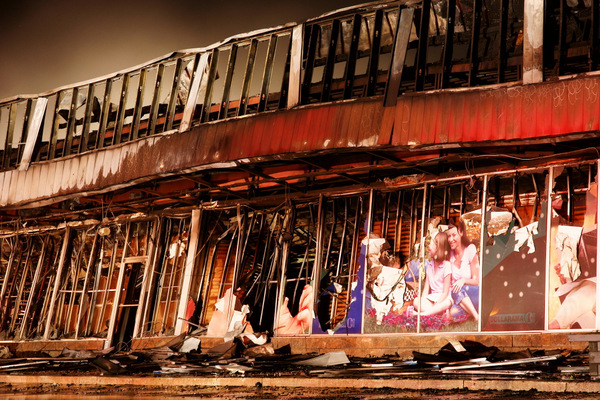 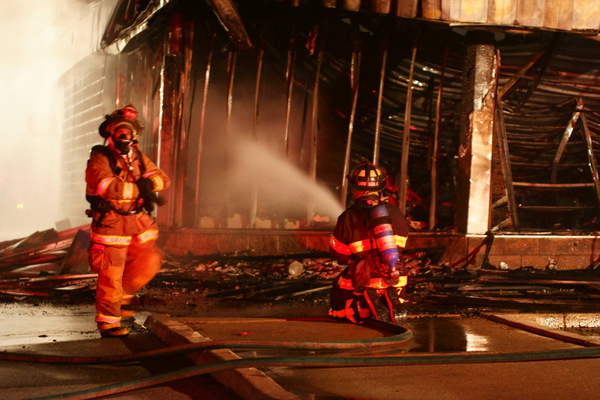 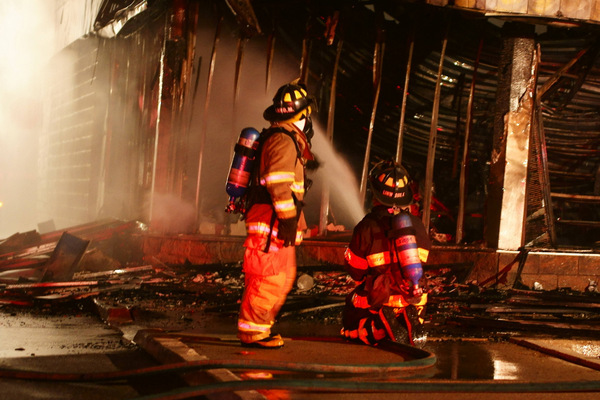 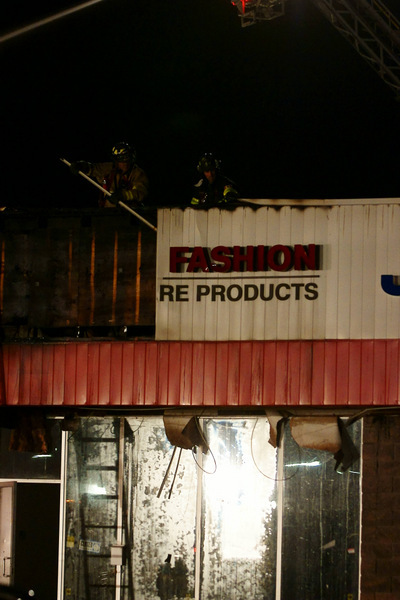 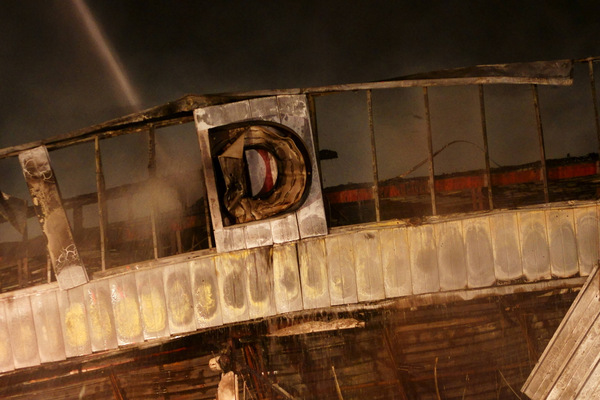 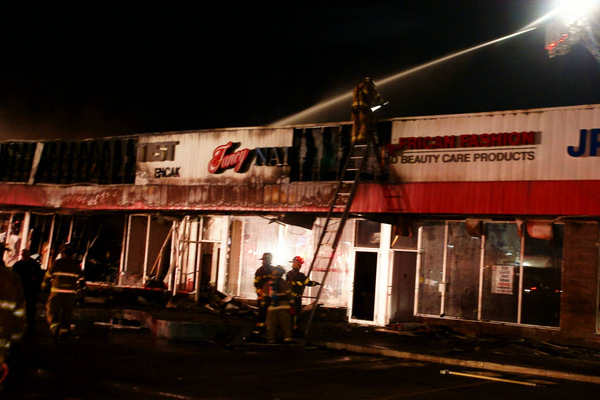 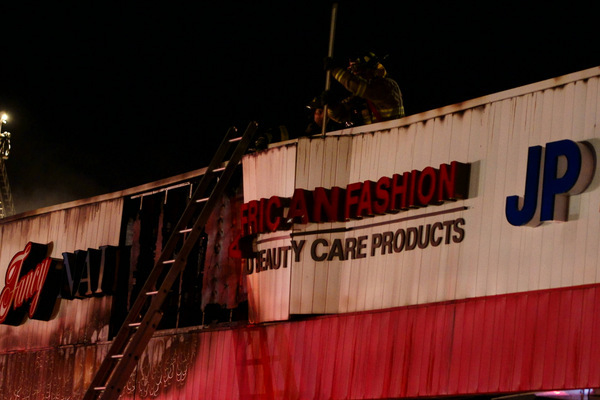 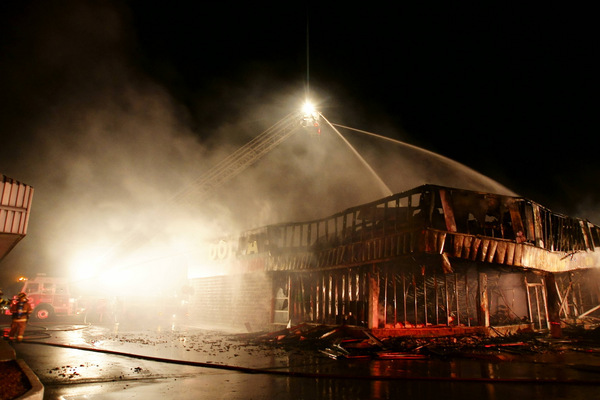 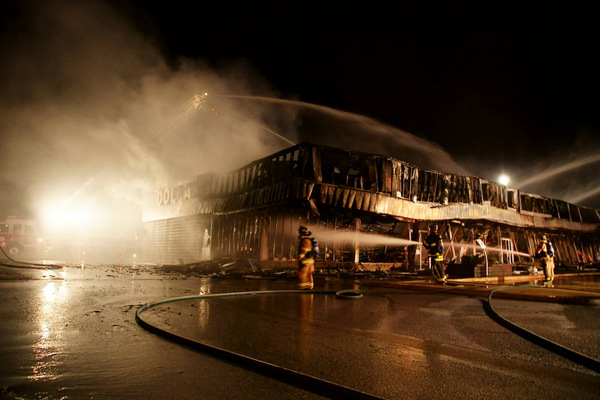 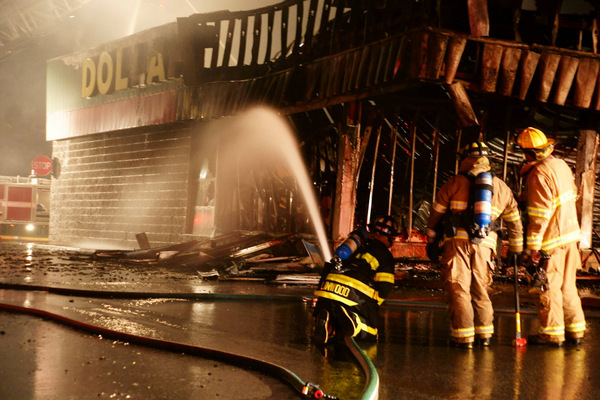 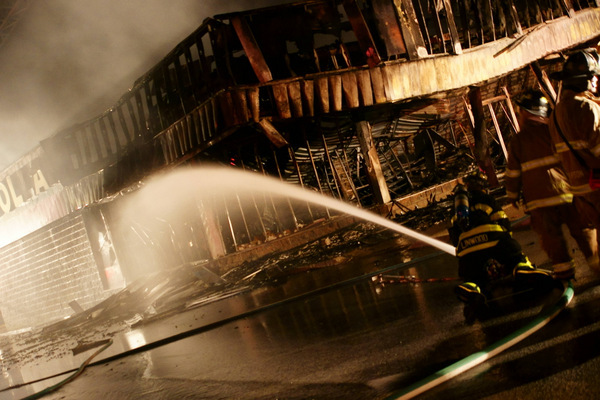 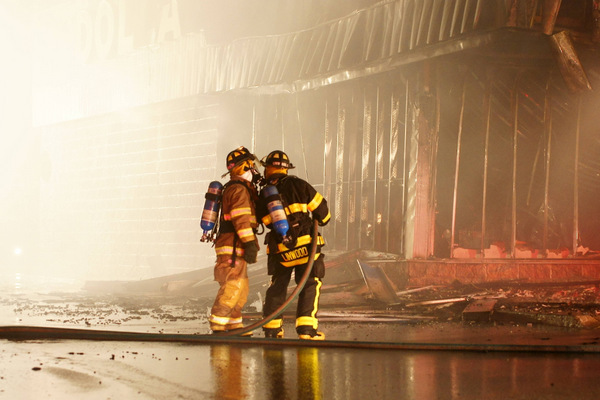 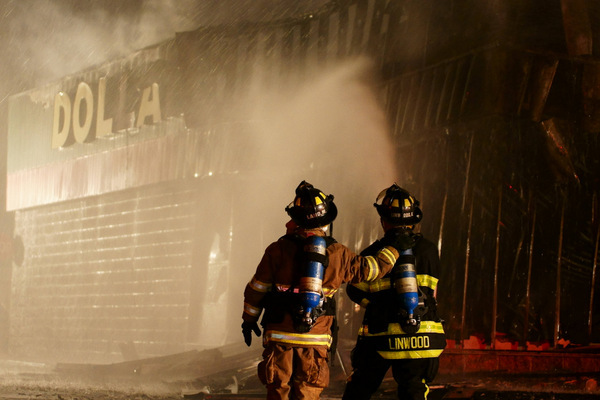 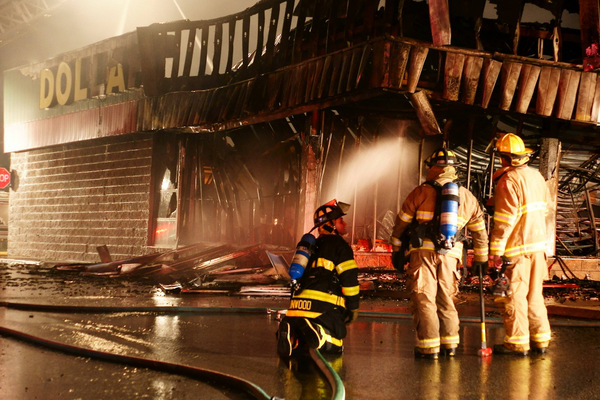 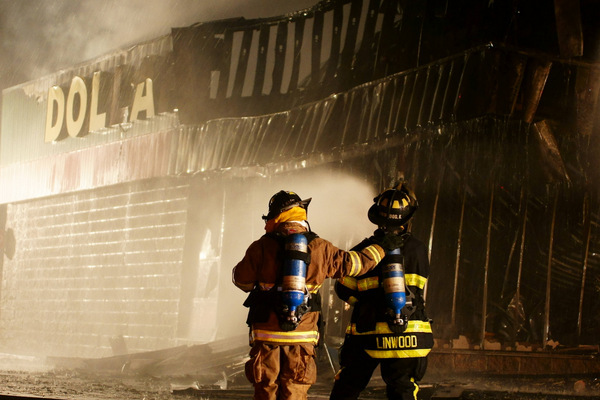 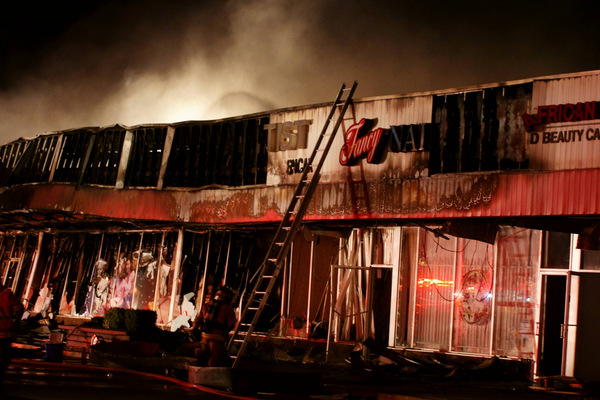 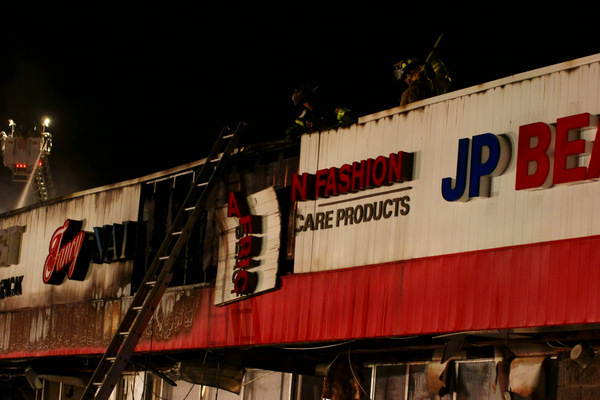 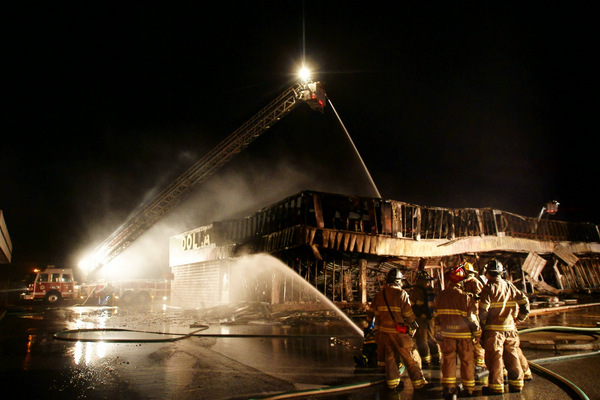 Firefighters broke many of the store’s windows to provide ventilation to the fire. 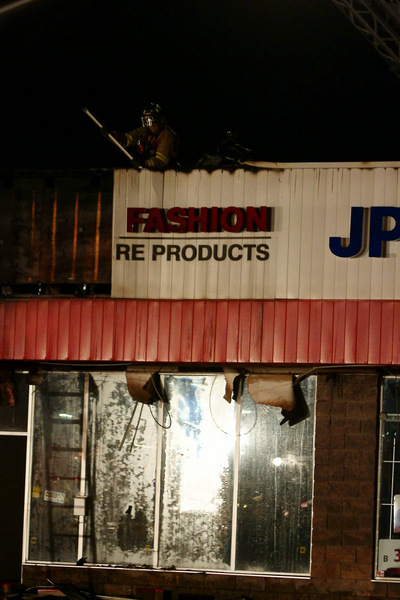 Within minutes, fire had spread to the west end of the store (bordering a dentist office) and to the party area on the east side: full of shelves of paper products, gift cards, streamers and more. 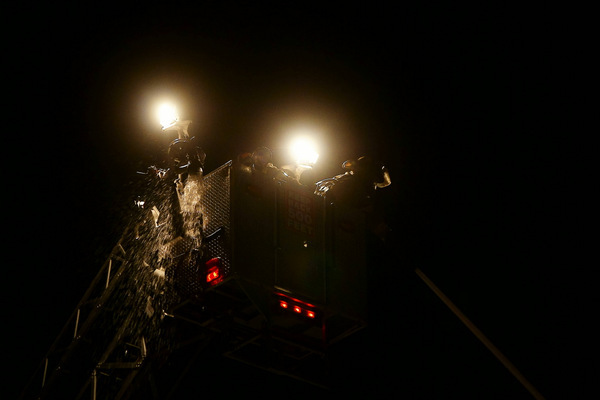 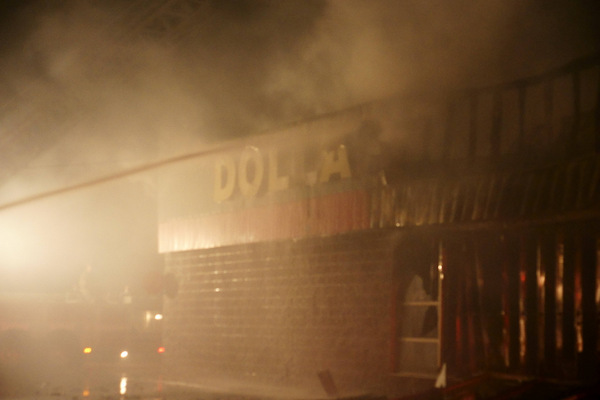 The district fire chief immediately issued an order to evacuate and fire began shooting through the roof. 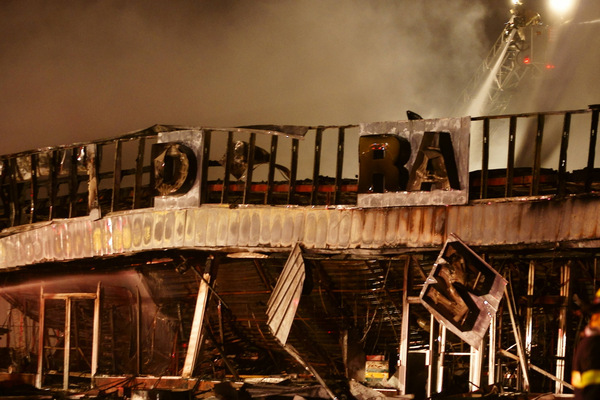 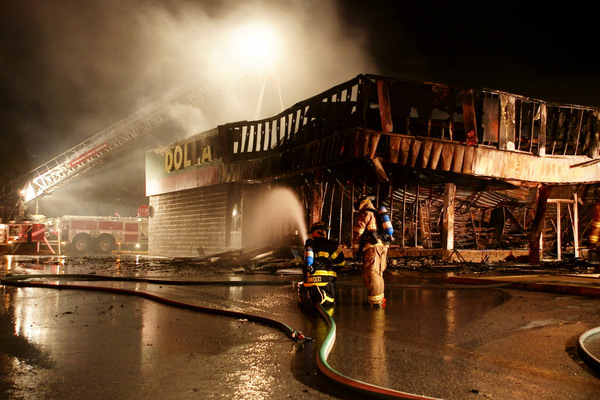 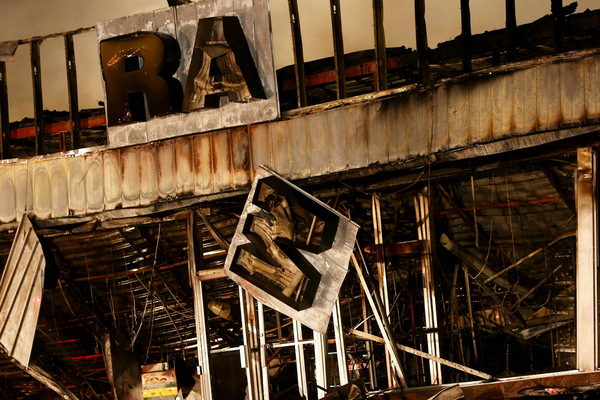 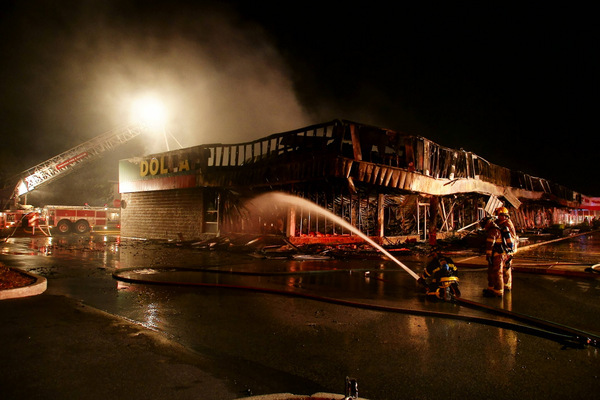 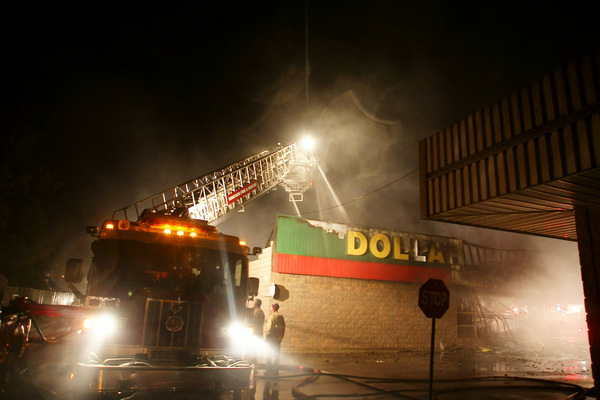 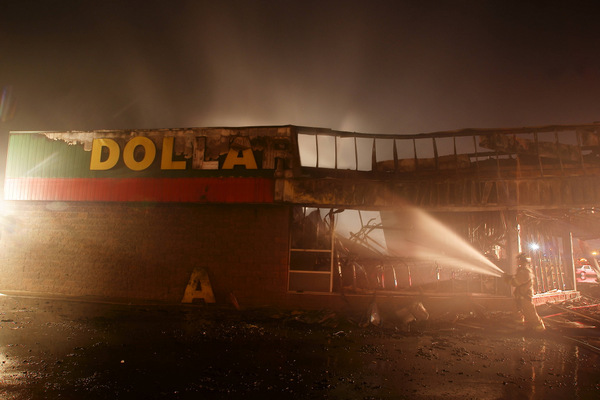 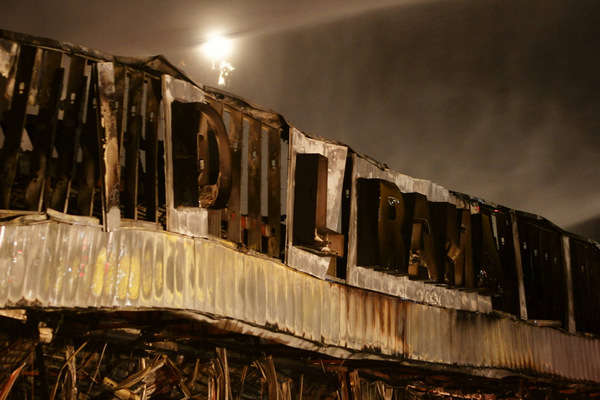 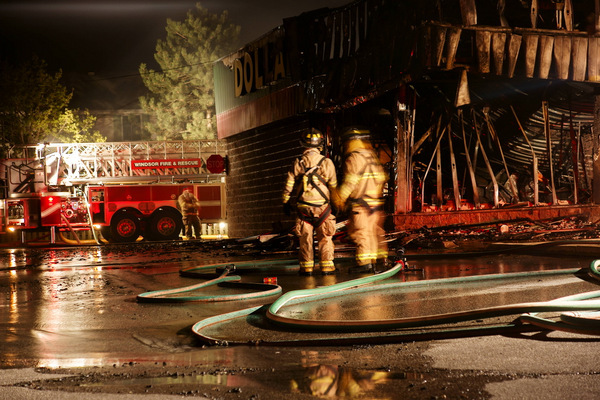 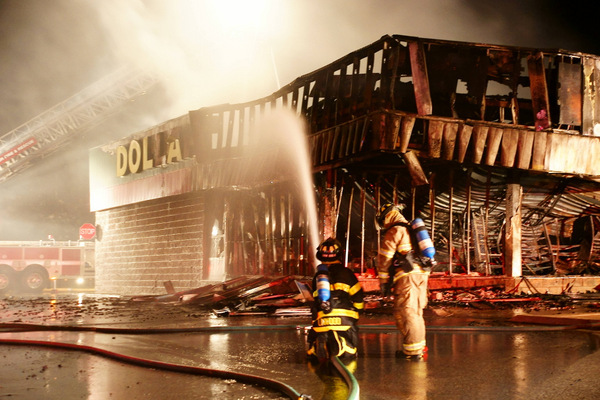 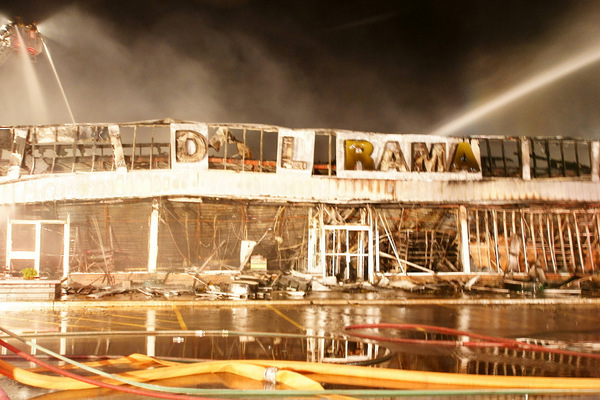 Smoke began billowing under the Dollarama sign and a ‘defensive’ attack began with three ladder trucks attacking the fire from above. 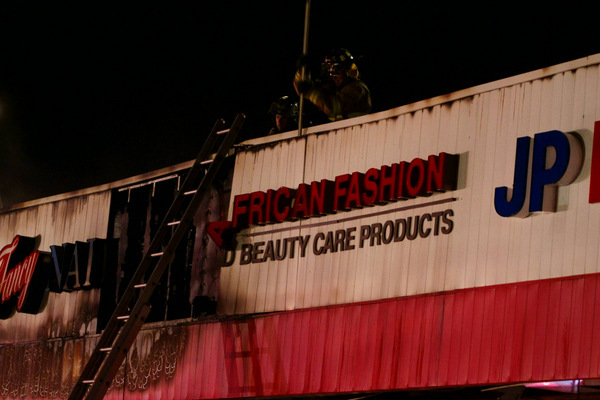 Around 9:30pm, the roof of the building and back wall caved in and fire spread to the front of a neighbouring Dentist Office and “Fancy Nails” salon where it was halted by firefighters. 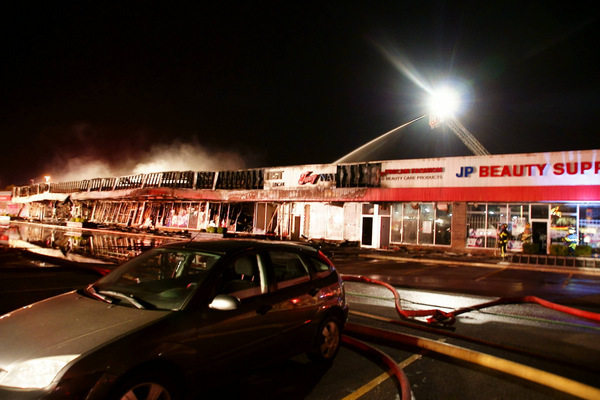 Many of the neighbouring businesses including Ming Wah Chinese Buffet, Value Village, JP Beauty Supply and Pita Pit suffered major smoke damage. 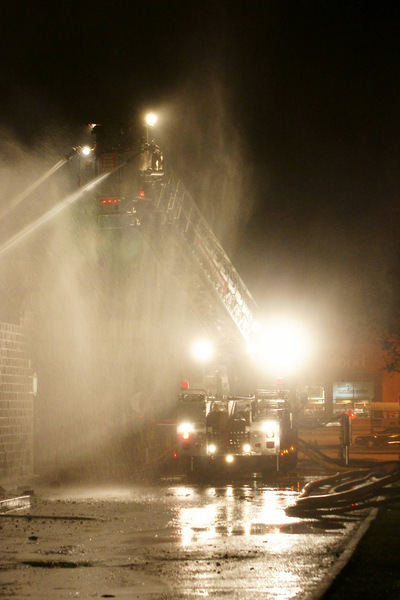 At the rear of the building, about a dozen “pops” per minute could be heard as presumably, cans of aerosol were exploding. 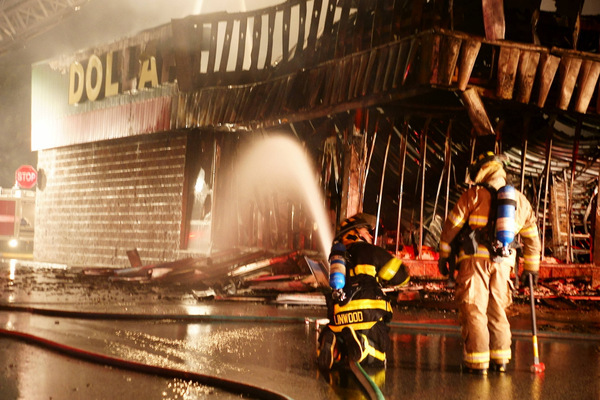 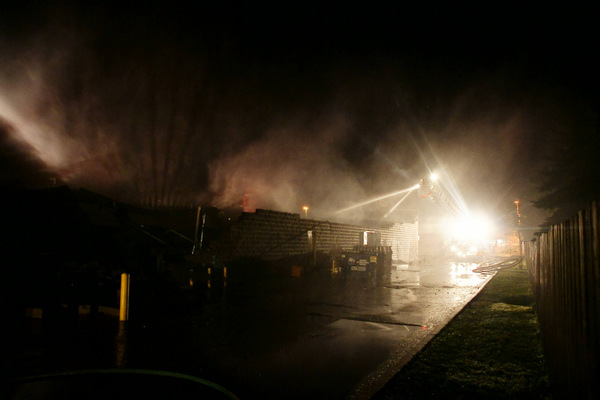 As of 3am, some crews remain on scene to extinguish “hot spots” — areas of fire that are still burning. 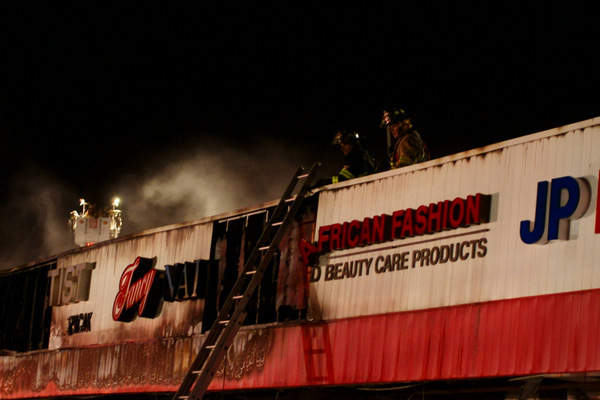 There is no reported cause for the fire at this time. 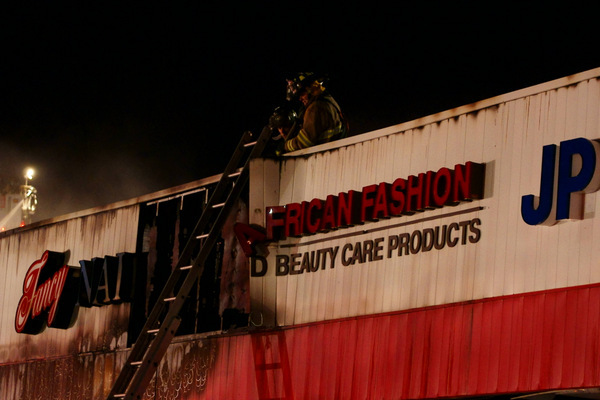 There were no reported injuries from this fire. 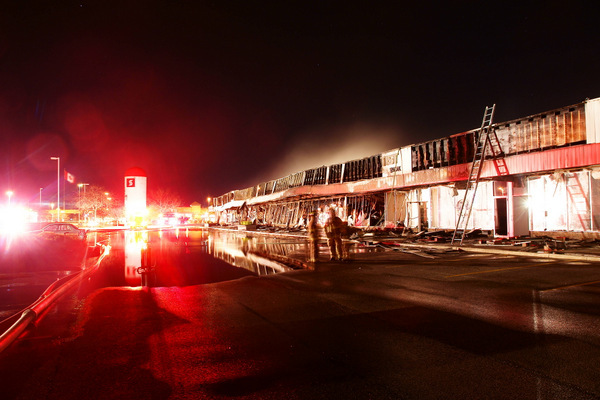 Both Windsor Fire and Windsor Police Investigators are unable to enter the site until the last remaining areas of fire are put out.